Look good, feel gorgeous in a shopping mall up north. There is a shady looking shopping mall in Leeds called the Merrion Centre. Strolling through the front door you could be forgiven for thinking you had been transported back a few decades. Retro fittings and gaudy shop fronts showcase discount grocery stores and tacky accessory outlets. It’s stunning. Additionally, this mall of the fantastic and grotesque houses two of the best kept secrets in Leeds; a run down bowling alley with a full bar and Morrissey songs on the jukebox and; a clothing store called The Third Estate featuring one of the largest collection of vegan shoes I have seen in the UK. 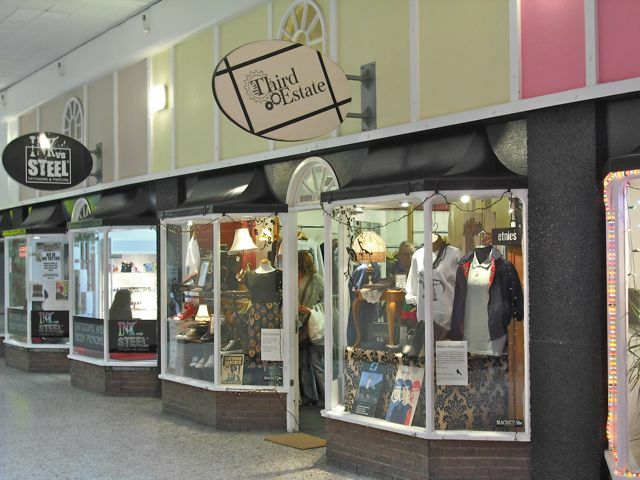 The Third Estate is an ethically-minded retail outlet that is a dream come true for vegan shoe fetishists. 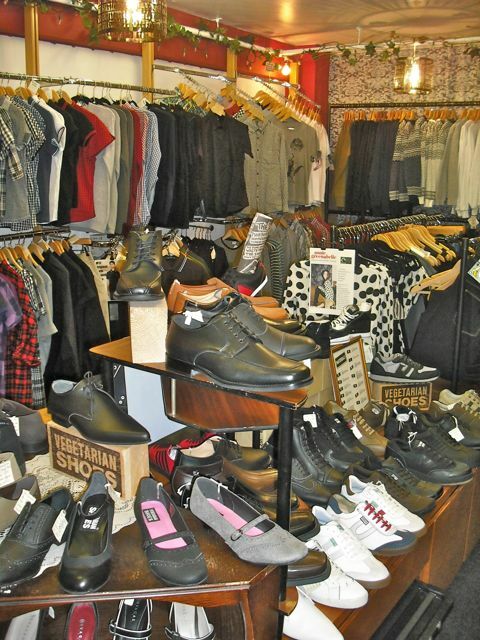 The cosy boutique sells footwear by Macbeth, Ethletic, No Sweat and Vegetarian Shoes. During all of my travels around the world, I have rarely seen a more impressive selection of cruelty-free footwear. You can find trainers, pumps, heels, canvas and boots. If the shoes aren’t enough to get you to part with your cash, you surely will be impressed by the stunning range of clothing on offer. Many of the lines available are by local and UK-based designers such as Get Cutie who specialise in retro cut dresses and the recycled fashion of Manchester-based Love Me Again. The FGV pick of the shop is definitely the huge range of Harrington jackets. I’m heading back for the red one. ‘Like’ The Third Estate on Facebook.